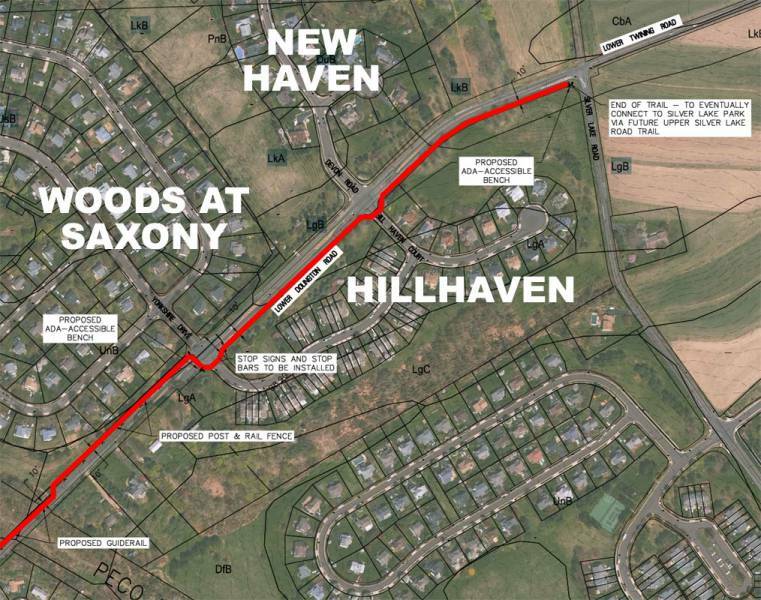 Assistant Newtown Township Manager Micah Lewis discusses some details regarding the proposed Lower Dolington Road Trail Project. 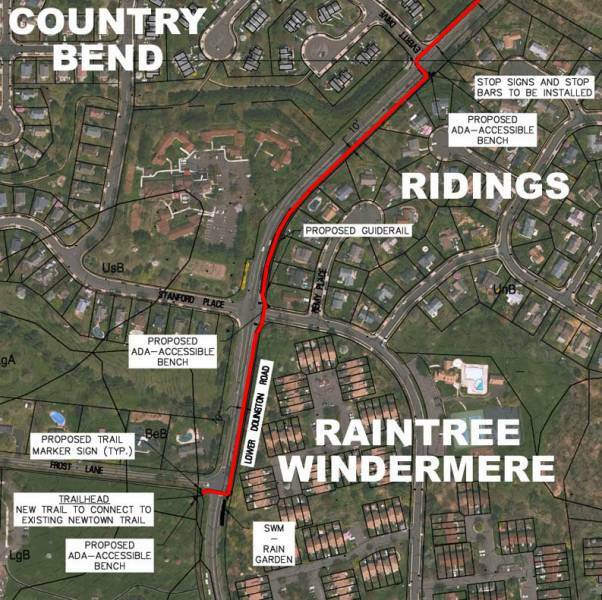 The 1-mile multi-use trail along Lower Dolington Road will provide a pedestrian connection between existing residential neighborhoods – including Country Bend – and Roberts Ridge Park, Goodnoe Elementary School, the Township's Business Commons and the existing trails in and around Roberts Ridge Park. The "lower" portion of the trail.